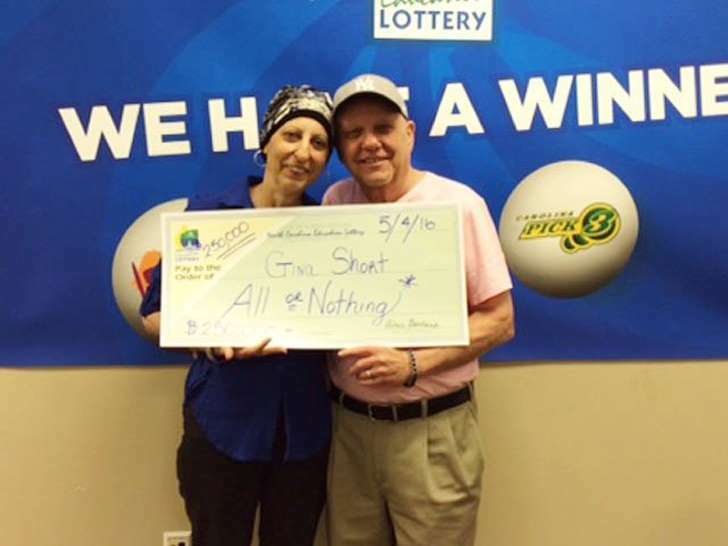 Gina Short from North Carolina who has been battling breast cancer for 6 years and is still undergoing chemotherapy has won the lottery for the second time in less than three months. In February, Gina won $1 million in the Ultimate Millions second-chance drawing which she said she was going to use to pay for her treatments. She said she was thankful for the lottery winnings because had been given a second chance to live. Then unbelievably on April 29 their numbers won…again! “We checked the same ticket six or seven times because we thought we misread it.” “We’re still in disbelief mode,” lottery winner Gina Short said. She added that the prize would help her “truly live.” Now that the couple has claimed Gina’s second lottery prize, their disbelief has been replaced by gratitude.